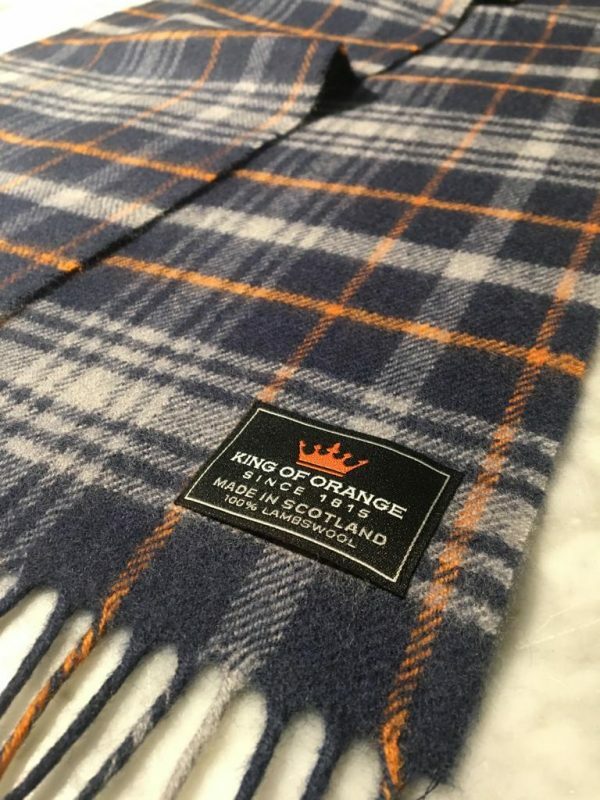 King of Orange 100% Lambswool official tartan scarf. 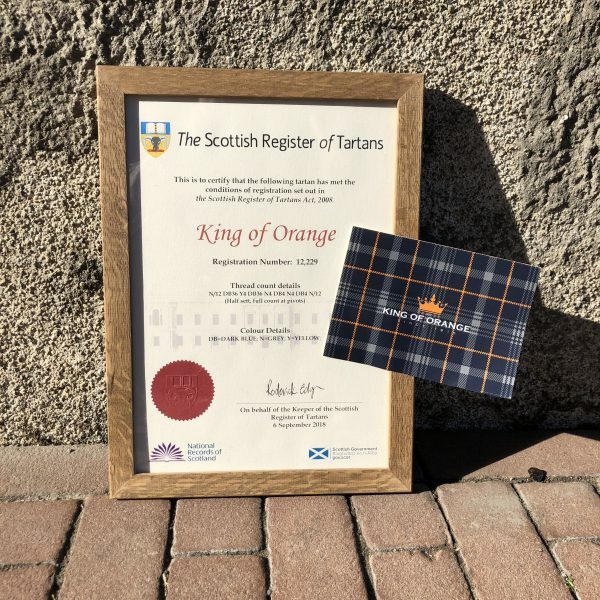 This is made in Scotland. 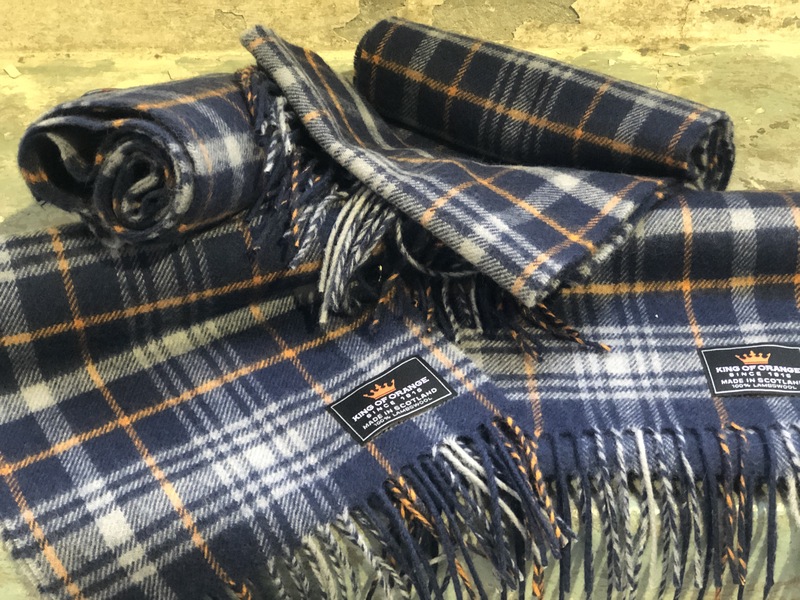 On a traditional base of 100% Scottish lambswool and the best weaving mill in Scotland.